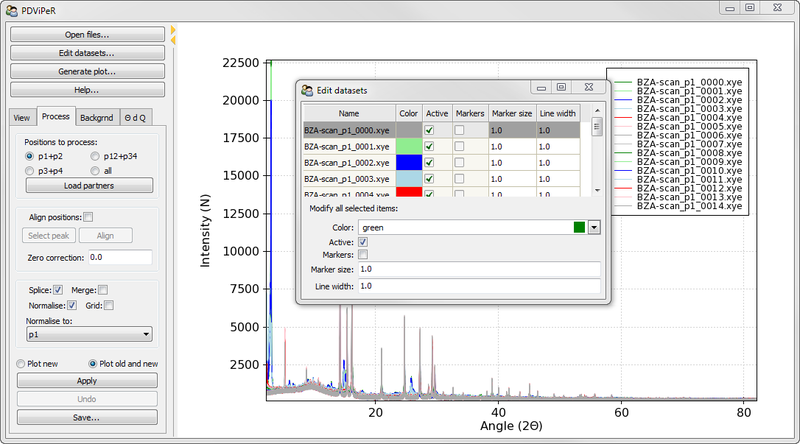 PDViPeR is a BSD-licensed data visualisation, processing and reporting software package for powder diffraction data. PDViPeR is a python-based package that not only reads in and views Australian Synchrotron Powder Diffraction beamline data from the Mythen II microstrip detector, but also is capable of efficient multi-detector position data merging that has been performed admirably in the past by DataPro and other programs. The package is capable of easily producing images for publication and reports, with a range of output options including raw, stack, 2D surface and 3D plots. Dataset normalisation, scaling, background subtraction and inputting of both XYE and XY file formats are additional features. The goal of the application is to create an integrated package that will enable Users of the Powder Diffraction beamline to view, process and display their data easily and efficiently for publication. To learn more, visit the documentation at http://pdviper.readthedocs.org.